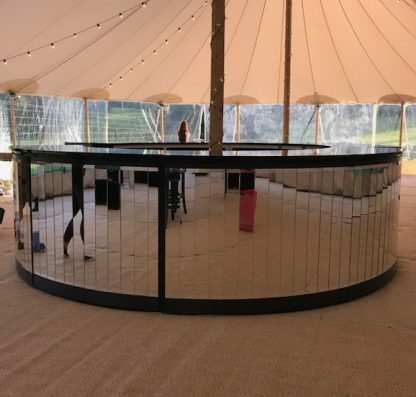 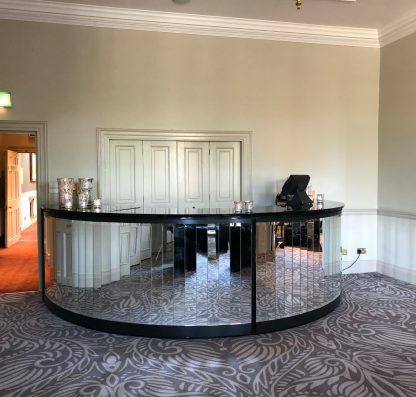 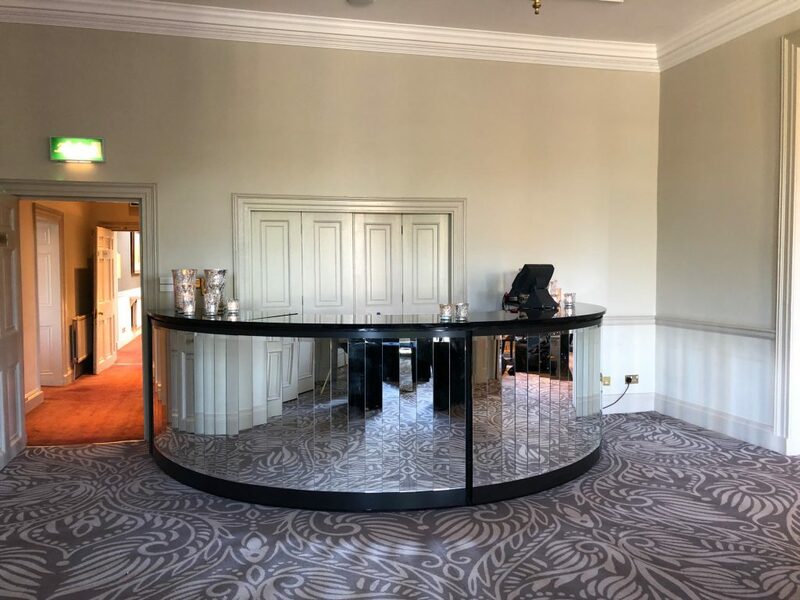 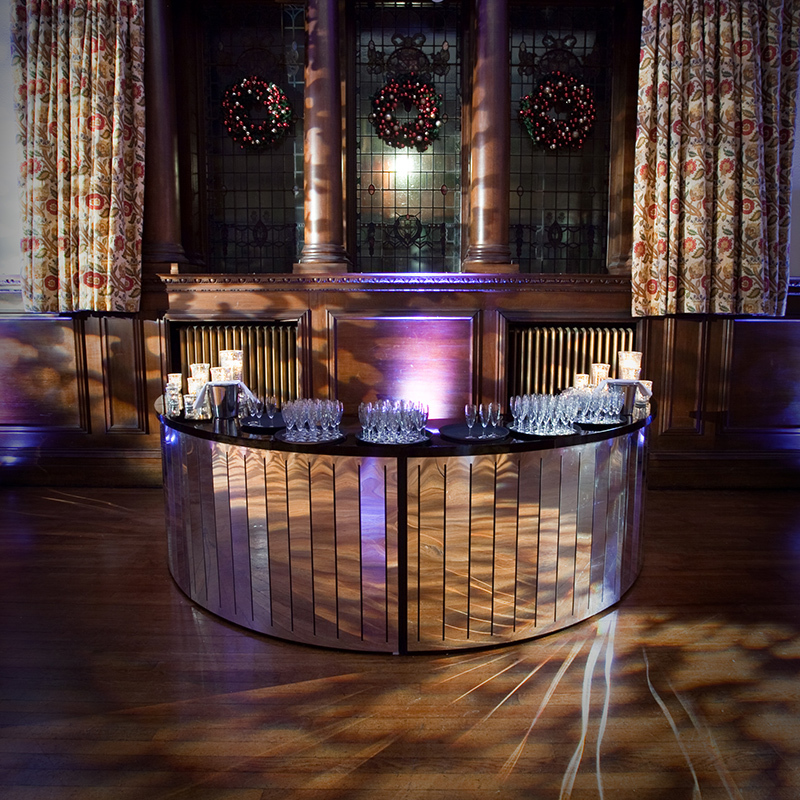 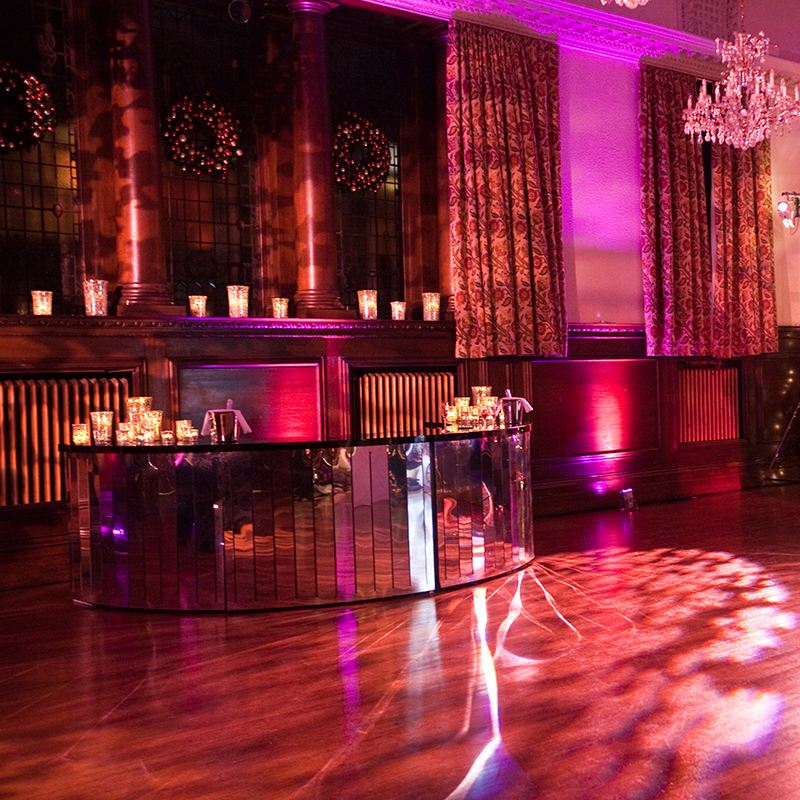 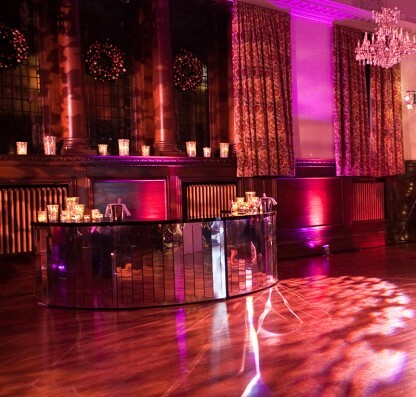 Our stunning circular mirrored bar with high gloss black top is a super-chic addition to any venue. 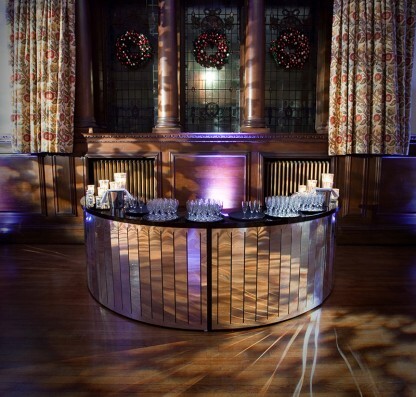 It works with any theme – and looks great with our Black Velvet Chesterfield Seating. 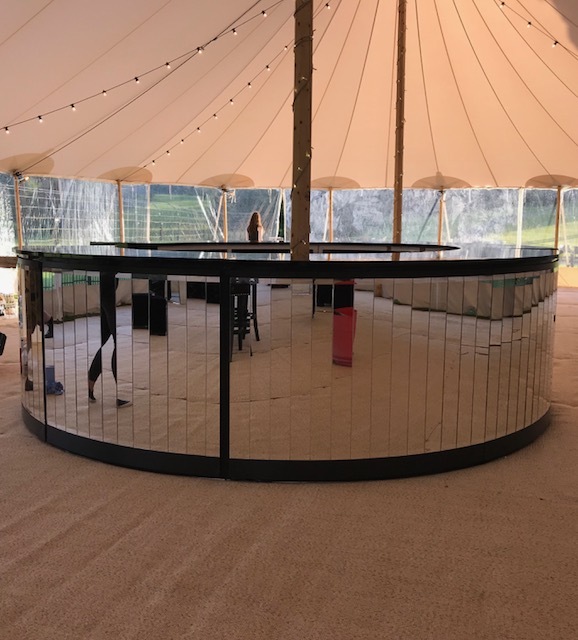 It has 2 halves that can be used as either a semi-circle or a full circle. 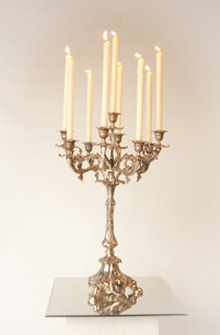 This is a fragile product.